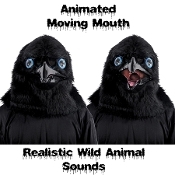 BLACK BIRD CROW RAVEN ANIMATED WILD ANIMAL MASK Moving Mouth Movable Jaw with Hand Held Push Button Activated Realistic Sound Effects Faux Fur Fake Feathers Furry Furries Fandom ADULT Size Full Over Head Fancy Dress Halloween Cosplay Costume Party Accessory-See VIDEO! 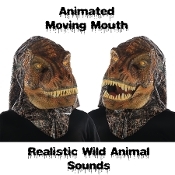 T-REX TYRANNOSAURUS DINOSAUR ANIMATED WILD ANIMAL MASK Moving Mouth Movable Jaw with Hand Held Push Button Activated Realistic Sound Effects Faux Lizard Skin Furry Furries Fandom ADULT Size Full Over Head Fancy Dress Halloween Cosplay Costume Party Accessory-See VIDEO! 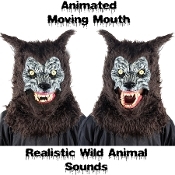 BROWN WEREWOLF ANIMATED WILD ANIMAL MASK Moving Mouth Movable Jaw with Hand Held Push Button Activated Realistic Sound Effects Faux Fur Furry Furries Fandom ADULT Size Full Over Head Fancy Dress Halloween Cosplay Costume Party Accessory-Features eerie yellow eyes-See VIDEO! 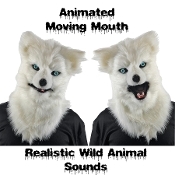 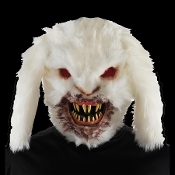 WHITE WOLF ANIMATED WILD ANIMAL MASK Moving Mouth Movable Jaw with Hand Held Push Button Activated Realistic Sound Effects Faux Fur Furry Furries Fandom ADULT Size Full Over Head Fancy Dress Halloween Cosplay Costume Party Accessory-Features intense light blue eyes-See VIDEO! 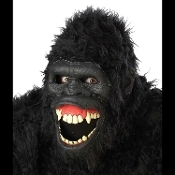 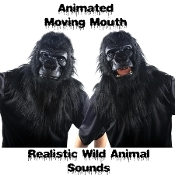 BLACK JUNGLE GORILLA ANIMATED WILD ANIMAL MASK Moving Mouth Movable Jaw with Hand Held Push Button Activated Realistic Sound Effects Faux Fur Furry Furries Fandom ADULT Size Full Over Head Fancy Dress Halloween Cosplay Costume Party Accessory-See VIDEO! 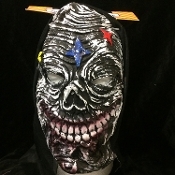 Mutant Freak Show MONSTER Scary Halloween Cosplay Costume HOODED LATEX RUBBER HORROR MASK Creepy Gothic Mardi Gras Masquerade Evil Monster Demon Ghoul Costume Accessory-UNISEX ADULT. 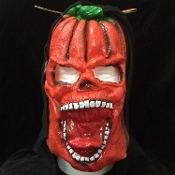 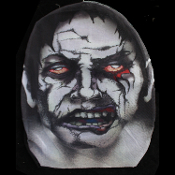 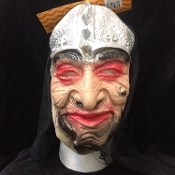 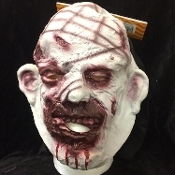 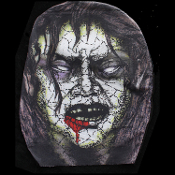 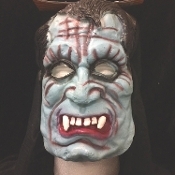 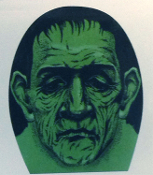 Horror Full Over Head Mask Dummy Prop with Attached Costume Hood.